The cast recording features the musical’s score by eight-time Academy Award® winner Alan Menken (Beauty and the Beast, Aladdin, Sister Act) and lyricist Jack Feldman, with book by four-time Tony Award® winner Harvey Fierstein (La Cage aux Folles, Torch Song Trilogy). 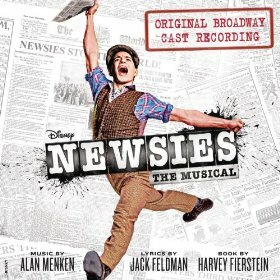 The stage version introduces brand-new songs while keeping many of the beloved songs from the film, including ‘Carrying the Banner,’ ‘Seize the Day,’ ‘King of New York’ and ‘Santa Fe.’ The iconic music is performed by the musical’s original cast, headed by Jeremy Jordan. The iconic music is performed by the musical’s original cast, headed by Jeremy Jordan.